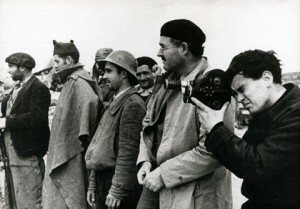 Hemingway with Joris Ivens during the filming of "The Spanish Earth". In previous months, he had submitted to more than 15 punishing ECT (electroshock convulsive) treatments at the Mayo clinic, due, in part, to his fear that the FBI was shadowing him. Paranoia? In fact, the FBI’s director J Edgar Hoover hated him as a “Communist” for raising money for ambulances to the antifascist loyalist side of the Spanish civil war and sheltering anti-Franco refugees. Hoover kept a 124-page file on Hemingway, and had ordered his agents to trail the writer’s movements. His doctors, family and friends saw Hemingway’s anxiety as proof of his mental instability requiring shock treatment. In truth, I have never been able to get through an entire Hemingway novel; even though they were assigned readings at points. His writing style has always bored me and seemed rather choppy, although I am probably not the best judge. I am extremely biased against Mr. Hemingway because he wrote more than one poem attacking my favorite poet, Dorothy Parker. 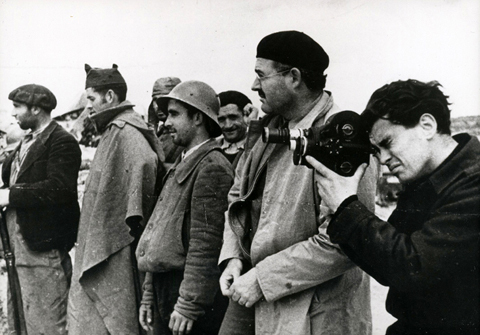 Aside from this, he is often given credit for bringing the Spanish Civil War to the American people in his book For Whom the Bell Tolls. However, the actually members of the Lincoln Brigade found it to be a crude representation of the war. Despite my general dislike of Hemingway, more of as a person than as an author, it is true to say that he holds a special place in American literary history.